Carolyn Mann (Tippitt) Wahlquist from Maumelle, Arkansas entered heaven on January 29th, 2019 after battling Alzheimer’s disease for several years. She was born in Prescott, Arkansas on September 30th, 1935 and is preceded in death by her loving parents; Sally “Cleo” Mann Tippitt and Herman Curtis Tippitt; infant brother, Herman Curtis Tippitt Jr. and former husband, Larry Wahlquist. Carolyn is survived by three children; daughter Robin Prather of Maumelle; daughter Miki Holder and son-in law James M. Holder of Edgemont; and son Clay Wahlquist and daughter-in-law, Monica Wahlquist of Little Rock. Fondly referred to as “Nana”, she is also survived by adoring grandchildren; Saylor Prather of Little Rock and Joseph Prather of Maumelle, Zachary Holder of Edgemont and Preston and Ava Wahlquist of Little Rock; her beloved twin sister Jackie Butler of Dallas, Texas; nieces Tada Margolis of Jonesboro and Kelly Kyle and Wendi Holloway of Dallas, Texas; special cousins Patsy Higginbotham, Butch Ellis and wife Linda Ellis of Prescott; extended family; Wayne, Christopher and MaryAnn Carroll and James Hamilton of Maumelle and many other family and friends. Carolyn was a remarkable woman who touched many lives through her life’s journey. Not only was she a devoted mother and homemaker who always put her family first; she was an accomplished businesswoman, community leader and volunteer. 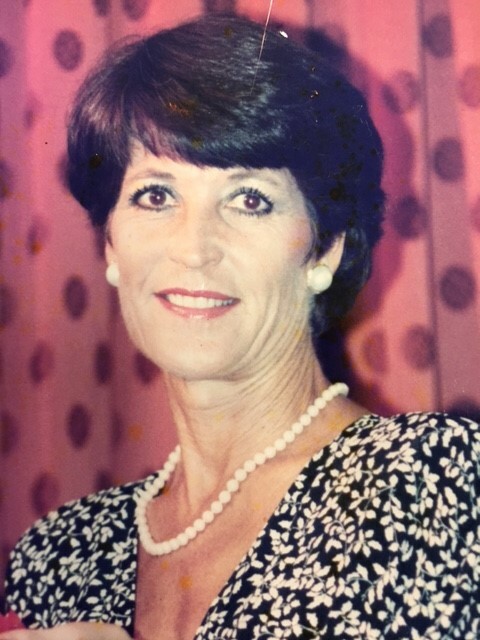 She was co-owner and editor of The Nevada County Picayune, co-owner of Winman Furniture and operated the State Farm Insurance Agency in Prescott for many years. Never standing still; she enjoyed gardening, decorating, traveling, cooking, watching military movies and playing tennis. Most of all, she treasured the time she shared with her grandchildren. She was so proud of each one of them and prayed that all five would fulfill their life’s dreams. She also loved the Curley Wolves, Razorbacks and Cowboys! Many of her fondest memories centered on her earlier life in Prescott. She often reminisced about setting up camp for long weekend lake trips with family and friends to Cowhide Cove, “Canasta” card nights and fellowship and services at the Prescott Church of Christ. Her faith and love of God remained constant and guided her throughout her life. Memories of her church and dear old friends never faded. Those cherished memories brought happy smiles to her beautiful face and gave her peace. The family would like to thank hospice nurse Jeremy Belknap for the special care and love shown to our mother in her final days. Carolyn will be inurned at a later date at DeAnn Cemetery in Prescott.